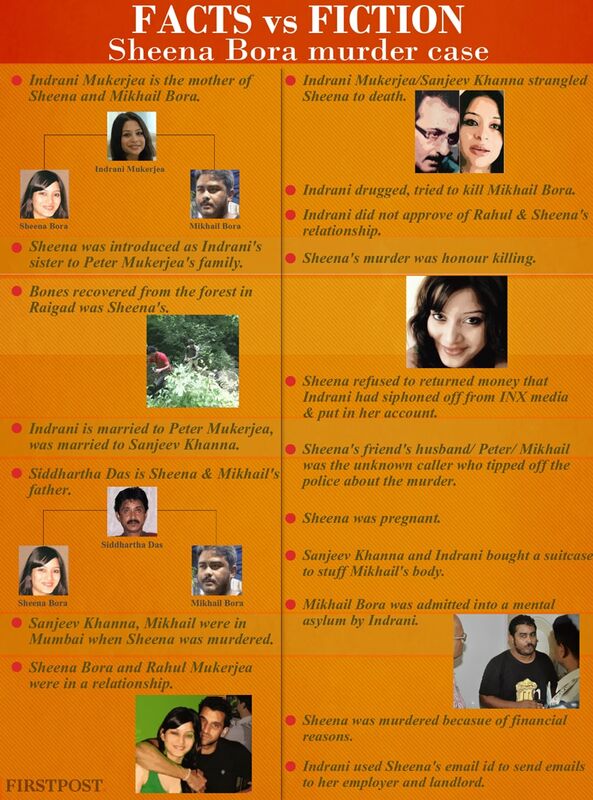 The Sheena Bora murder case managed to baffle all of India as the line between fact and speculation has been blurred in the case. Indrani Mukerjea. Image courtesy: Mukerjea's Facebook page. Newspapers have quoted unnamed sources claiming various things about accused Indrani Mukerjea and her dead daughter Sheena. They ranged from shocking to downright ridiculous. Reports attempting to ascertain the motive for the murder said that it could be because of Sheena's relationship with Indrani's husband Peter Mukerjea's son Rahul. Other reports hinted at large sums of money are involved.